When the front desk clerk at our hotel in Sedona Arizona told us there are some interesting Cliff Dwellings and Ruins at the end of a nearby road we probably should have gotten more information. Instead we just decided to drive the general direction of where we thought we should go. The only thing we were told was that there were two different ruins, a close one and a far one, and we had to make reservations to visit one of them. We did try calling the number that she gave us but could not get through so we just decided to drive. I do not know why we thought this would be a quick and easy drive, maybe because the hotel clerk told us so, but it was just the opposite. 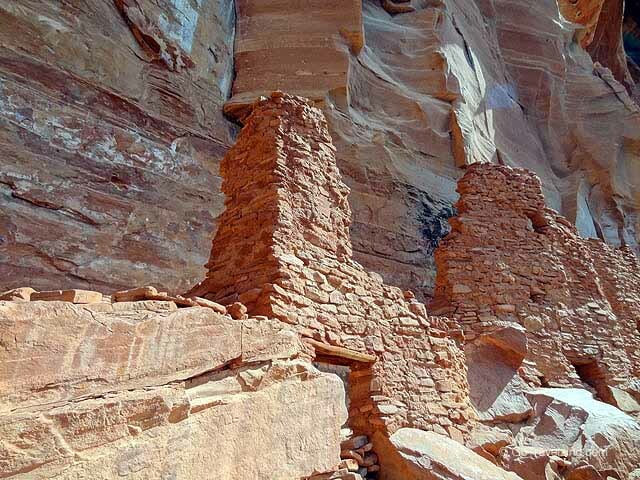 We set off down the back roads of Sedona looking for the ruins. After about 10 miles we got to the end of the paved road where there was a sign instructing us to call to make reservations. The problem was that none of us had a signal on our phones so we just decided to keep driving. We slowly drove the next couple of miles over an unpaved rocky road until we got to another sign instructing us to call for reservations. At this point we actually had a signal so we called and asked if we could visit. We were told we could in get on the tour that started in an hour. We also asked if we would be able to make the drive in a regular car and were told yes but to drive slow. Driving slow was not a problem since I was worried about popping a tire or damaging some other important part of the car. The last thing I wanted was to have to call for repairs out in the middle of nowhere. It would have been much better if we had a Jeep or off-road vehicle. It took another 30 minutes to drive the final couple of miles to the visitor center. At the visitor center we checked in and bought a Red Rock Pass. 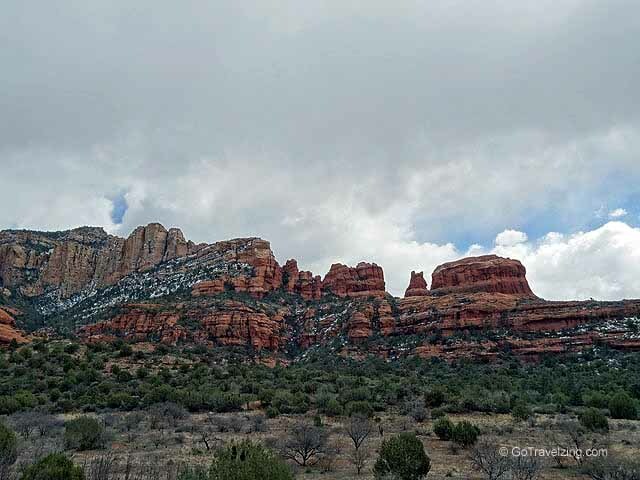 You will need a Red Rock pass to drive and park at the trails near Sedona. 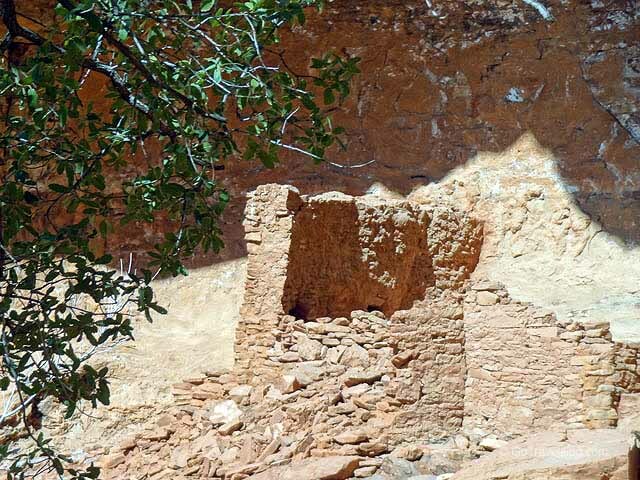 The ruins that we visited are called the Palatki Heritage Site and were built between A.D.1150 – 1300 by ancestors of the Hopi Tribe. We were taken by a guide in a group of ten people to the Cliff Dwellings. It is a short hike up hill to get to there. The ruins consist of a few walls of the original dwelling. The guide gave us a ten minute talk about the history of cliff dwellings and how the tribes lived at the time. It was interesting but the ruins were not much to look at. They are called “ruins” for a reason. I guess if they were more complete like the nearby Montezuma Castle there would be a paved road and a lot more visitors. After visiting the Cliff Dwellings we were directed down another path to an area that had ancient cave paintings called petroglyphs. 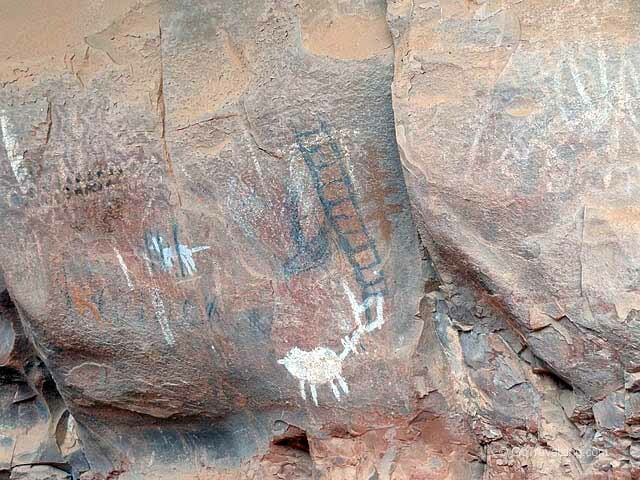 A separate guide at this site showed us different petroglyphs that were painted on the wall and how the area was used for meetings and rituals. The visit to the ruins lasted about an hour and a half. As we were leaving we asked the park ranger if there was a better road that we could take back to the main highway. She told us which road to take and it was faster and smoother. The road also took us closer to our next stop of Jerome Arizona. The ruins were interesting but I am not sure that they were worth the long drive to get there. 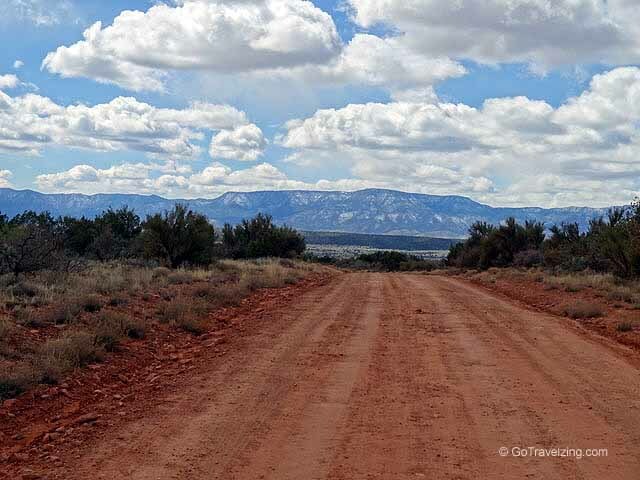 If you do not want to drive you can take one of the Jeep tours that leave from downtown Sedona. The tours will get you there faster and you will also get to see a lot of other things in the Sedona area. Visit the Forest Service website for more information about visiting. The roads are unpaved dirt road. If you do not think your car will make it or if it has been raining don’t chance it. A Jeep tour is another way to visit the ruins. 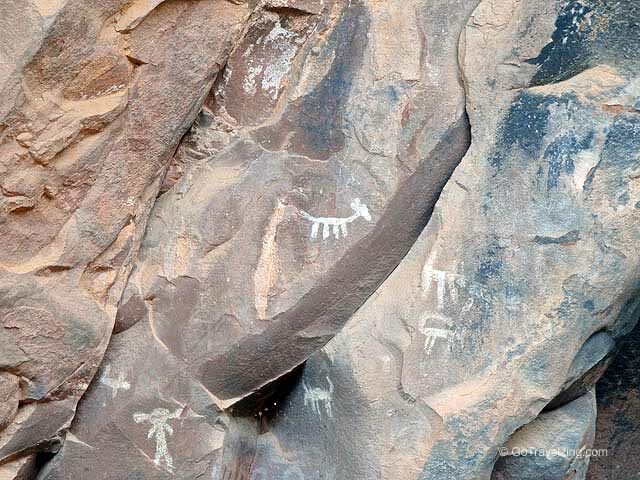 I’ve been to Sedona and had no idea these were there! I did not know that they were there either and I have been to Sedona many times. That picture of Dirt Road to Palatki Ruins is so pretty it looks fake! It was real. That was the smooth part of the road. You should have seen what the not so smooth part looked like. Sometimes not doing your research means you have a more interesting experience…as long as you don’t get lost! That is true. It does get a little stressful when you are in the middle of nowhere with no cell phone reception. I didn’t know they had ruins in Sedona. The jeep tour sounds like a great day out. Glad you found it in the end and the landscape looks worth the trouble. There are ruins all over Arizona. The Native Americans have lived in the area for thousands of years.